Monkton Flood Alleviation Scheme partners (from left): Liz Walters (Tyne Rivers Trust); Paul Knight (Royal Haskoning); Coun Nancy Maxwell and Stephen Semple (Balfour Beatty). Work on a major £2.5million flood protection scheme in South Tyneside is now complete. Around 100 homes and businesses will be better protected from flooding thanks to the Monkton Flood Alleviation Scheme. The work was carried out to tackle surface water flooding in areas including Monkton Burn, Lukes Lane Estate and the Leam Lane area, Mill Lane, Lilac Walk, College Road, Campbell Park Road, Thirlmere Court and Mountbatten Avenues. Coun Nancy Maxwell, Lead Member for Area Management and Community Safety, said: "We are delighted to see the work completed in this area. The range of improvements carried out will help to control the flow of surface water, diverting it away from local residents and businesses, which have been badly affected in the past. "While we could never guarantee that an area will be completely flood free, these measures go a long way to providing an increased level of protection for properties as well as greater peace of mind for local people with the added benefit of an enhanced local environment. "This is a great example of agencies coming together to provide a long term sustainable solution to the issue of surface water flooding in this community. Well done to all those involved." 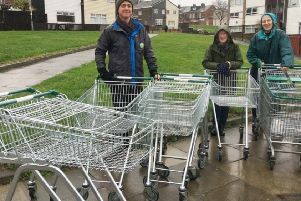 The work, which took around 12 months to complete, was done by South Tyneside Council, Tyne Rivers Trust and the Environment Agency, which largely funded the scheme. Tom Pitman, Project Manager at the Environment Agency, said: "The scheme has been sympathetically designed and constructed to partially mimic natural flood processes and with improved amenity areas residents, can now enjoy these benefits, whilst being better protected from surface water flooding." The work involved opening up a section of the Bede Burn, which had previously flowed completely underground. 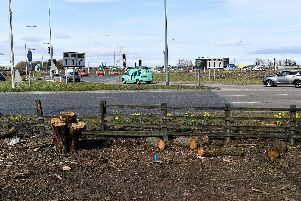 The process – known as ‘daylighting’ – also saw local community groups and schoolchildren helping to transform the area into a new green space and habitat for wildlife. The work also included improving the drainage and landscaping near Toner Avenue School. A basin to store run-off water during storms has also been created. Liz Walters, Project Manager at Tyne Rivers Trust, said: "This has been an exciting and enjoyable project to be involved in. There is a fantastic community of people in this area who want to look after their local green spaces. Having the burn above ground gives this park a lovely focal point and is hugely beneficial for wildlife."